The Dojo Kun, is a series of Motto's or statements that one should live ones life by. Karate uses all parts of the body to block, kick and punch. Karate is a total workout, developing strength and agility, suited to everyone, young and old, male or female, girls and boys alike. We study 3 main areas of Karate. Kihon (Basic Techniques), Kumite (Fighting) and Kata (Forms). Our basic techniques are the foundations for all Karate and the building blocks of Kata and Kumite. Originally developed in Okinawa and then refined in Japan, Karate has become a worldwide phenomenon with Hundreds of thousands of participants across the globe. 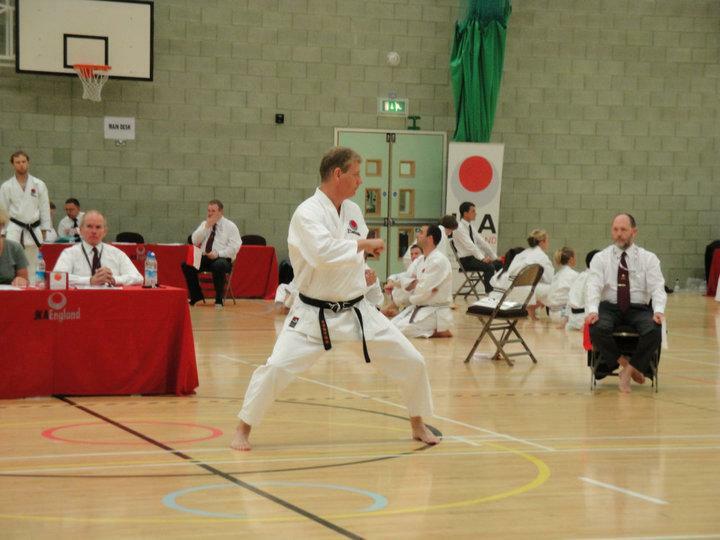 There are many different styles of Karate and many associations. We are part of the Japan Karate Association (JKA) and as such study the Shotokan style. All students are different and therefore we teach each student according to his or her abilities. We follow the grade system where students are examined to achieve their next belt level known as a Kyu Grade. There are 10 Kyu Levels.